Spring is coming! That means more sunny days and warmer temperatures. It also means winter melting and spring showers. Ensuring your crawl space is in proper condition is important to help keep water out and maintain your home’s structural integrity. Properly insulating and conditioning your crawl space can help the floors in your home maintain a consistent temperature. If you choose to insulate your crawl space, consider spray foam insulation. Spray foam insulation insulates and seals cracks and other penetration points in one application. If you choose to completely seal your crawl space (also known as a conditioned crawl space) you could even add storage space to your home’s square footage. 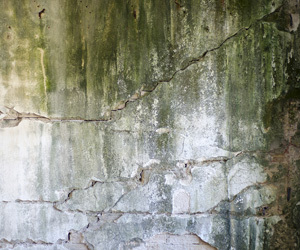 Cracks can commonly form on the walls of a crawl space. You can help keep water and pests out of your crawl space by sealing these points. Installing spray foam can help by insulating and air sealing with one step. Moving water away from your foundation will help keep it out of your crawl space. By ensuring water properly drains away from your home, it will find its own path away from your crawl space. If water pools around your home consider contacting a landscape architect or other professional to address issues with grading around your home. Spring showers and winter melting will come soon! Now is the time to examine your crawl space. Contact our office to schedule a free estimate. Have other crawl space or insulation questions? Give us a call!